Federal University, Wukari, FUWUKARI post UTME result for the 2018/2019 academic session is out. Candidates that participated in the screening exercise can now check their scores. This is to inform all the candidates that participated in the Federal University, Wukari (FUWUKARI) post UTME screening exercise, that the management of the institution has released their results. 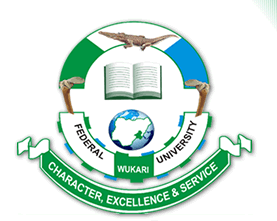 Federal University, Wukari post UTME result has been fully uploaded online. Check FUWukari Post UTME Result. Go to FUWUKARI post UTME result checking portal at https://ug.fuwportal.edu.ng/putme_login.php. Supply your JAMB registration number and surname in the required columns. Finally, click on ‘LOGIN’ to access your FUWUKARI post UTME score. pls check the ICT of the school OK.